You could almost call 2015 the year of the blackjack. Well that is if the outstanding bonuses on offer for 21 players at online casinos is anything to go by. 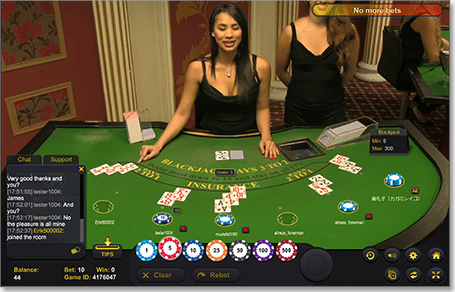 Royal Vegas Casino, which uses the flawless Microgaming software, is one of our favourites and they are continuing to offer new players up to $1200 in sign-up bonuses. This means you can play blackjack across both your computer and smartphone with one account and have double the money to bet with. If the $1200 is not enough, you an sign up at G’day Casino, who have announced that they will give all new players a 100 per cent deposit bonus with an unlimited cap – which is unheard of at online casinos. G’day Casino is also doing something uniquely Australian, which you can read about below. 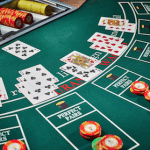 Royal Vegas Casino offers up to AUD$1200 in sign up and deposit bonuses. This is divided up across your first three deposits. Your first deposit is matched 100 per cent up to $250. Upon your second deposit you will receive 25 per cent of that deposit up to $200. Your third deposit you will receive 50 per cent matched bonus up to $750. Royal Vegas also offers weekly and monthly bonuses for your benefit. Check www.RoyalVegasCasino.com for more details on these offers, which can include free spins, matched deposit bonuses and free entry into online slots tournaments. Guts has more offers and bonuses than Sale of the Century. Firstly they offer 15 free spins on the unique pokie Twin Spin for just registering with them, no deposit required. First deposit matched 100% up to $100 and 50 free spins on Starburst with promo code GUTSW1. Second deposit matched 50% up to $100 with promo code GUTSW2. Guts also has Double Deal Monday and Thursday Triple running at the moment, which are weekly deals that can be very profitable for the player. During the Double Deal Monday use the promo code DOUBLE and get 75% casino bonus up to $40. When you deposit and wager $20 or more on Mondays you will receive 15 free spins of the popular pokie Immortal Romance ready for you to play on Tuesday. Thursday Triple bonus when you deposit between $20-$49 and wager it between 00:01 – 23:59 CET Thursday you will be rewarded with 10 free spins of Twin Spin the following Friday, Saturday and Sunday. Deposit $50 or more and you will receive 20 free spins on Friday, Saturday and Sunday. G’day has several enticing sign-up and deposit bonuses available. First and foremost is 50 free spins on the instant classic, South Park: Reel Chaos. This is a no deposit bonus. All you have to do is register your details and create an account with G’day. Secondly they offer you a 100% first deposit, matched bonus up to any amount. 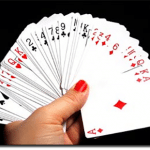 You won’t find too many other online casinos willing to match your deposit up to any amount. Very generous indeed. Third is the coup de grace. When you make your first deposit G’day will send you a carton of the greatest beer in the world: VB. Don’t think that G’day takes you for granted as a customer once they have romanced you with those great offers. Every other deposit you make is given a 10% bonus. As well as that if you like G’day Casino’s Facebook page you go in the running to win $50 credited to your account. G’day also boasts weekly promotions, so check their site for each week’s now promos. Casino-Mate has two major sign-up bonuses. First they offer you the no deposit, sign up Free Play option which gives you up to 3,000 casino credits to play with over the course of 60 minutes. Any profit you make over the initial 3,000 credits up to 100 credits is yours to keep as long as you made at least 20 bets in that time. Once you begin to make deposits, Casino-Mate offers you up to $1400 in matched deposit bonuses over your first four deposits. First deposit 100% matched bonus up to $100. Second deposit 200% matched bonus up to $50. Third deposit 25% matched bonus up to $500. Fourth deposit 50% matched bonus up to $750. Each of these casinos are available to play through your laptop, tablet and smart phone. Check each site for their terms and conditions.